Whew, what a bizarre week its been! Winter storm Leon hit the southeast and blanketed Clemson with some beautiful white fluff! We didn't have class Tuesday or Wednesday which was such an unexpected treat. We played all over campus and just had way too much fun! As I've done the last two weeks in this new series, I gathered up my favorites from around the internet to share with y'all- take a look! #1 // Jimmy Fallon brought the men of Full House back together as their iconic 90's characters in a hilarious sketch for his show. I may have died just a little bit. I swear John Stamos is the only guy who could ever make a mullet look good. Oh, the nostalgia. #2 // Tommy Hilfiger is the king of the ad campaign world in my opinion. His "Meet the Hilfigers" ads always tell a story, and his Spring/Summer 2014 collection does not disappoint! 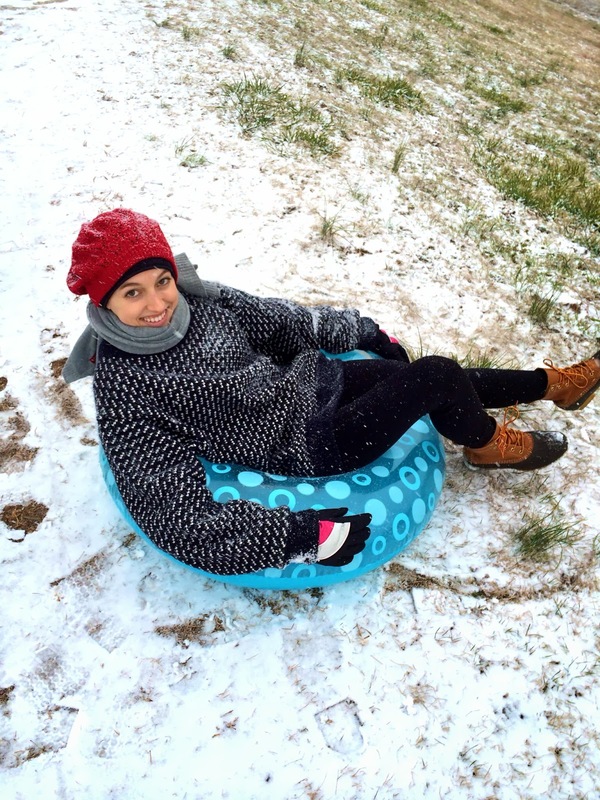 #3 // I checked off an item on my Clemson bucket list- sledding down the huge hill near our lake. Go check out the video on my Instagram (and follow)! So much fun.